Lyons, CO -- Planet Bluegrass is getting ready for the new year with an exciting lineup for the 44th Annual Telluride Bluegrass Festival. This year's lineup will once again be led by "The King of Telluride" Sam Bush for the 43rd year, and the only appearance of the incomparable Telluride House Band. Hailing from the utopian garden city of Missoula, Montana, The Lil’ Smokies exploded onto the progressive bluegrass scene in the winter of 2009 and haven’t shown any signs of fatigue since. It was just announced that Lil' Smokies received top honors at the 2015 Telluride Band Competition. Lyons, CO -- Less than 100 days til' Festivaaaaal! Yes, in just 99 days the annual pilgrimage of Festivarian Nation to Telluride culminates with the opening drone of bagpipes, the running of tarps, and the glorious reverberation of banjo and fiddle. For 4 days festivarians will dance, smile, listen and marvel at the great acoustic adventure of Telluride Bluegrass. For 40 years Festivarian Nation has made the annual pilgrimage to 8,750' in the San Juan Mountains of southwestern Colorado for 4 days of community, inspiration, and unbridled acoustic adventures. 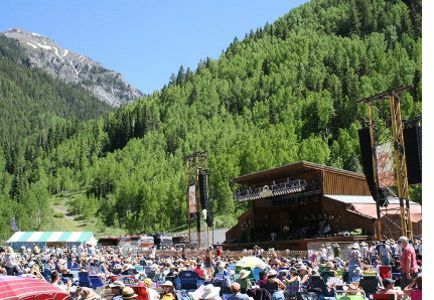 The 40th Annual Telluride Bluegrass coincides with the Summer Solstice (Thursday night); the full moon (Saturday night); and the longest day of the year which begins the Colorado summer. 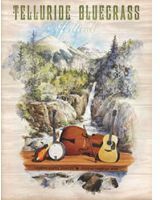 It's a magical time of sun and light, when the the high country of Colorado puts away its skis and grabs hiking boots, guitars, and a low-back festival chair to take in "Bluegrass." Telluride, CO -- The best weekend of the year will be here in no time. For 40 years, Festivarians have been flocking to Telluride's Town Park during the Summer Solstice to pay tribute to one of the greatest forms of American roots music: Bluegrass Music. 13,000 foot peaks, sunshine, Killer Flank Steaks, free Workshops, campsite hoedowns, happy people, ice cold New Belgium brews, late night NightGrass parties, and 4 days of the best acoustic adventures in the country. /Planet Bluegrass/ Lyons, CO -- These days of darkness which we've known, will blow away with this new sun and bring unto us gentle tidings of joy, peace, and glimmers of the long summer days to come... For lurking among the Cottonwoods and river rock sculptures, we've begun to hear the faint whispers of St. Festivarius – tales of anniversaries and festivarian journeys, songs and stories, music and mountains, tarps and tickets, summer bliss and savored friendships, and lineups. Lyons, CO -- Planet Bluegrass reminds us that as we settle into this autumnal lull between the lighting of our Sam Bush jack-o-lantern and the singing of Alice's Restaurant, we urge you to take off the fingerpicks, turn down the new Tim & Darrell album, and spend a few minutes right now crafting your vision of summer 2013. RockyGrass Academy registrations are now open and so are the lotteries for the Warner Field and Town Park campgrounds for the Telluride Bluegrass Music Festival. North Georgia band BlueBilly Grit took first place in the nationally renowned Telluride Bluegrass Band Competition located in southwestern Colorado this year. Competing against eight other bands in the preliminary round and then moving onto the final round, the band played on the main stage for several thousand festival attendees and emerged as the winner. The Summer Solstice and the 39th Telluride Bluegrass officially begins today. Yesterday afternoon Greensky Bluegrass and Della Mae with special guest Peter Rowan took the stage at Sunset Plaza in Mountain Village for the 4th Annual FirstGrass show. This free show begins the official music of the their gathering of Festivarian Nation in Telluride. Telluride, Colorado -- For the past 38 years, the summer solstice has played the role of a significant ceremony in Southwest Colorado. Wide-ranging interpretations of the solstice have varied among cultures for centuries. From celebrations of harvest to spiritual observances, from festivals to feasts, it's the longest day of the year in the Northern Hemisphere and marks the beginning of summer. 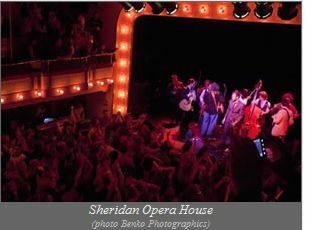 For the small mountain town of Telluride, Colorado, the solstice symbolizes one thing: Bluegrass.